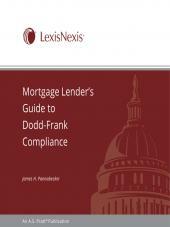 Residential Mortgage Lenders - Get State and Federal Compliance Coverage in One Fast Resource. Regulatory responsibility for RESPA, TILA, ECOA, HMDA and other federal consumer protection statutes that are shifting to a new agency. 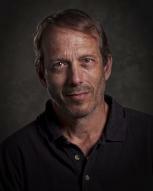 Thorough explanation of changing federal lending regulations to make sure lenders are in compliance. Pratt's Mortgage Lending Compliance with Federal and State Guidance is the only resource that covers mortgage lending compliance with federal and state guidance and regulations. 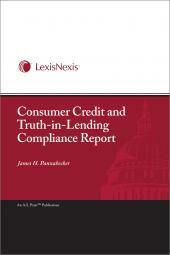 It also includes expert analysis and interpretation of the federal regulations, state-by-state coverage key mortgage lender compliance laws, regulatory and business process checklists, and model forms and disclosures that can be easily customized. 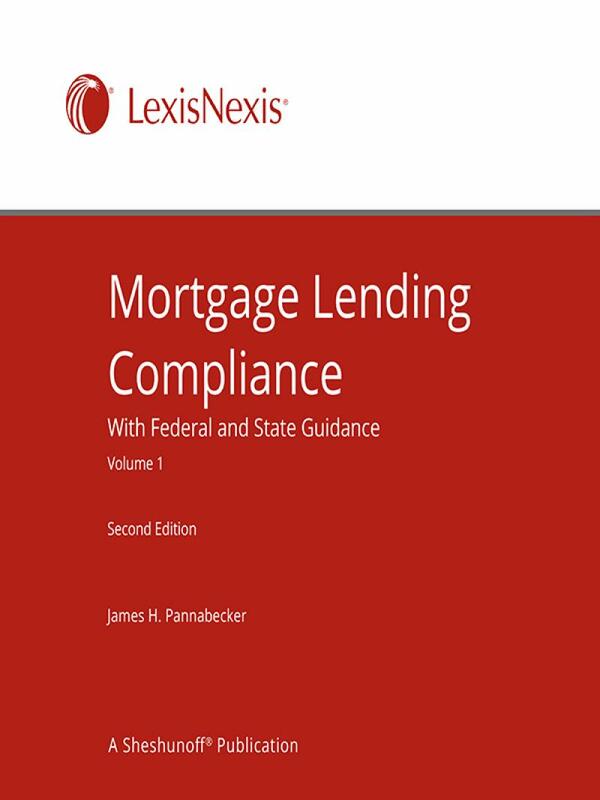 The manual provides clear and useful explanations of the federal laws and regulations regarding mortgage compliance laws and summaries of essential state laws. 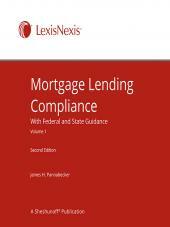 Federal statutes, regulations, and key agency guidance accompany the manual. 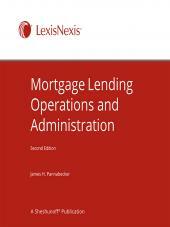 Also included are two checklists to help you determine which regulations apply to your institution: the Regulatory Applicability Checklist tells you which regulations apply to different entities, and the Business Process Checklist tells you which regulations apply to the different stages of mortgage lending.